View a 5-Minute Demo Video Now! 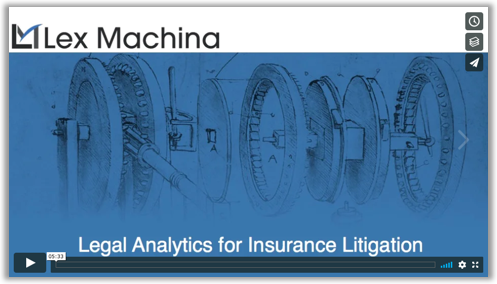 Lex Machina is expanding its award-winning Legal Analytics® into new practice area, Insurance Litigation! During the demo video, Ron Porter, Legal Data Expert at Lex Machina, will take you through a guided tour of the new module and show new insights about judges, parties, lawyers and law firms.